Vehicle Year: Unless this is a specialty or antique vehicle, Diminished Value will be very nominal, if anything, for vehicles older than 10 years. Mileage: If you reside in the US, enter miles. If you reside in Canada, enter km. (no cents) Enter the fair market value of your vehicle prior to the damage occurring, rounded out to the nearest dollar (no cents please). The more accurate this number, the more accurate your diminished value result. You can get a ballpark market value for free using sites like Kelley Blue Book (www.kbb.com), NADA (www.nada.com) or Edmunds.com (www.edmunds.com) in the US or Canadian BlackBook in Canada (www.canadianblackbook.com). These are only guides so you may want to use more than one site and average the values as each may vary dramatically. For a more accurate, indepth market value report for your area, call our helpline at (866) 310-8701. Damage: Was there any properly repaired damage to your vehicle prior to this incident? Damage: Was there any damage that had not yet been repaired just prior to this incident? If so, how much? Round out to nearest dollar (no cents please). Market Size: The size of the market you live in will have a bearing on the value of your vehicle as well as its diminished value due to availability and competitiveness within the market. Vehicles typically cost more but would have a lower diminished value as the market decreases in size. The following is only a guide. A major market would be a major metropolitan area with approximately 300,000 or higher population or any community within roughly 45 minutes driving range. A midsize market would have approximately 150,000-300,000 population or any community within roughly 45 minutes driving range. A small market is an isolated community with approximately 100,000 population or less. A rural market would be considered as any community which is at least 45 minutes outside of a small market. --Select One-- Extensive structural Structural Heavy Moderate Light surface Minor cosmetic Repair Cost: This is available from your insurance company or the body shop. 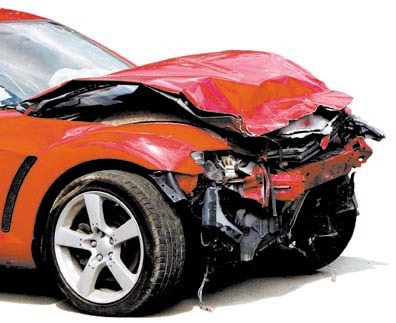 It is the estimated cost to repair your vehicle properly back to its pre-claim condition. Round out to nearest dollar (no cents please). Phone: Email: CAUTION: Reports will not be generated for invalid email addresses. 01 02 03 04 05 06 07 08 09 10 11 12 201920202021202220232024 CCID #: The three digit number on the back of your credit card is the Credit Card ID #. Promo ID: If you have been assigned a promotional discount ID #, enter it here. * For special circumstancesThis calculator is designed for mainstream vehicles and general operating conditions and on the basis that the vehicle was repaired properly. Special circumstances require a custom report (eg: a convertible in February in a northern state). If you have a special circumstance, need assistance understanding the damage estimate provided by your insurer or would like us to run the report for you, then please call us directly at (866) 310-8701. please get a copy of your damage estimate and call us for a custom calculation. Additional fees will apply. * Not all claims are eligible for diminished value. Please check local laws or your policy, or seek legal counsel for eligiblity rules. * For older or very high mileage vehicles or low repair cost claims, diminished value may be nominal and not worth pursuing. * Diminished value and a vehicle's selling price are both subjective in nature and open to negotiation. This calculator provides a fair and reasonable diminished value for mainstream vehicles operated under normal conditions assuming the repair work is properly completed.